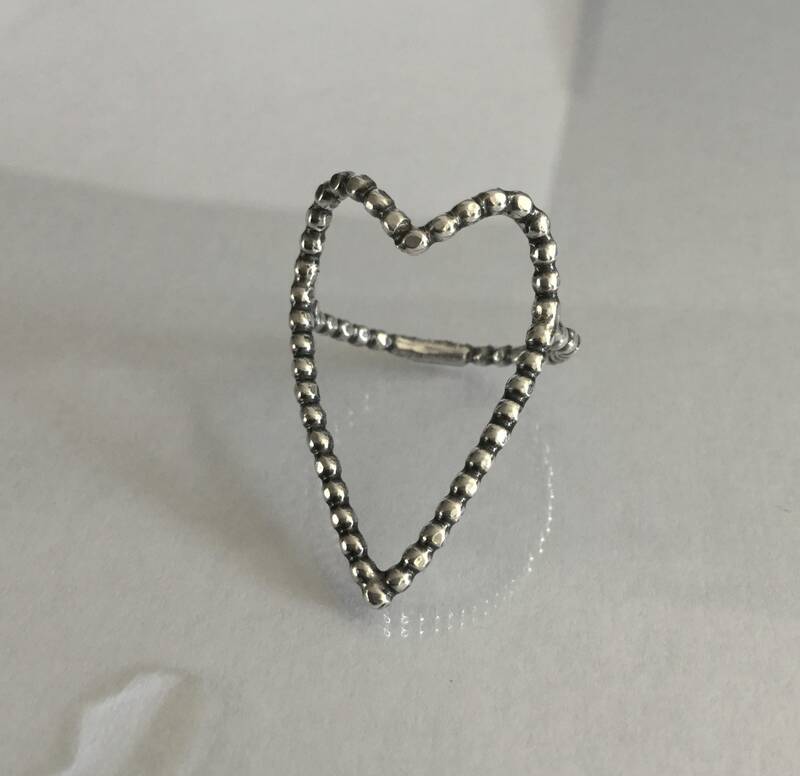 This is a handcrafted heart ring that is super easy to wear. 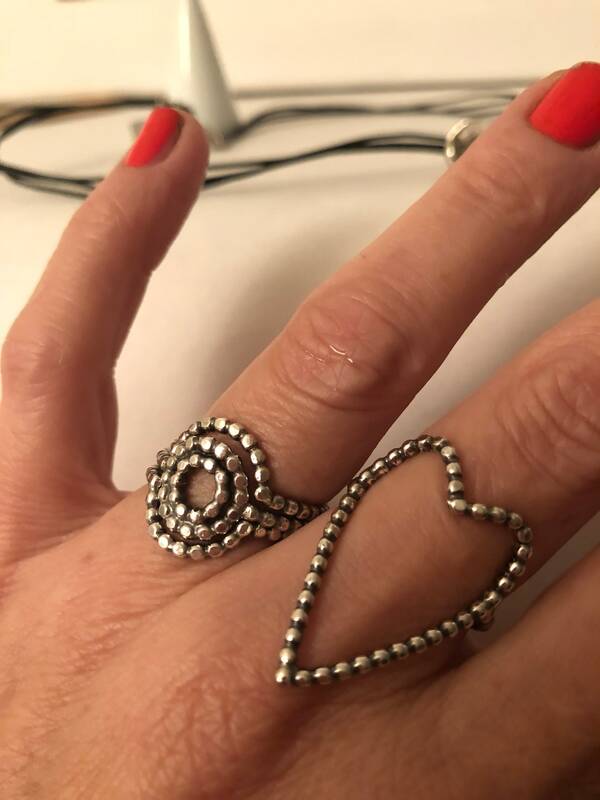 You will love this ring, if you like heart themed jewelry that is rather cool than cute. It is a large ring but yet light weight and molds arounds you finger. The silver is oxidized to bring out the texture and then polished to shine for sparkle. 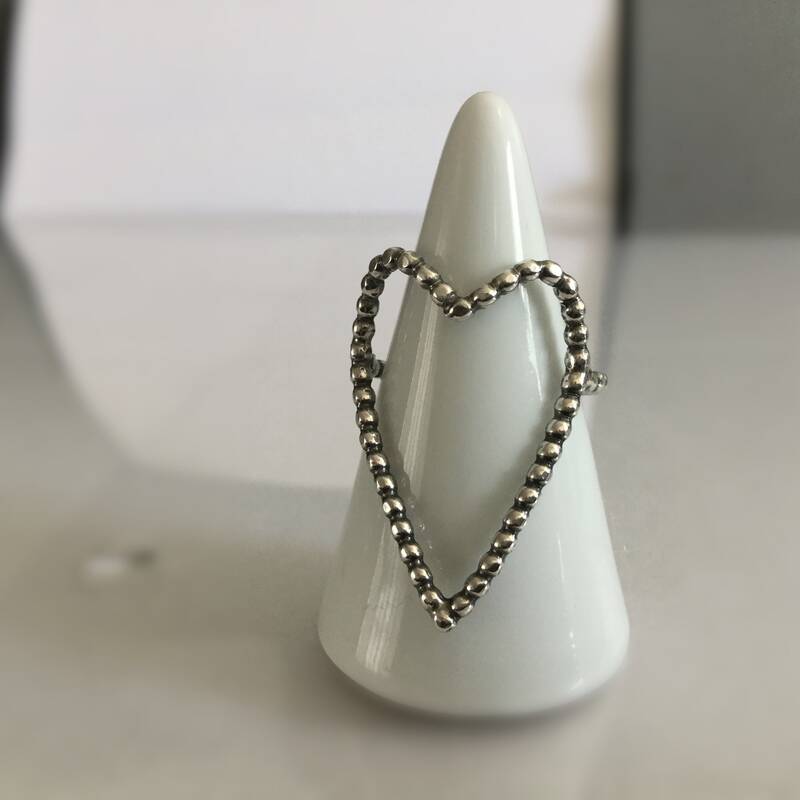 Once you orderd the ring it will take 1-2 business days until I will ship it to you, since those are made to order in your size.